Today's outfit started out much like the inspiration photo - similar color scheme, and a leopard scarf with leopard shoes. Short sleeves obviously won't cut it for colder climates though, so I added a tweed blazer and switched the shoes to cognac. 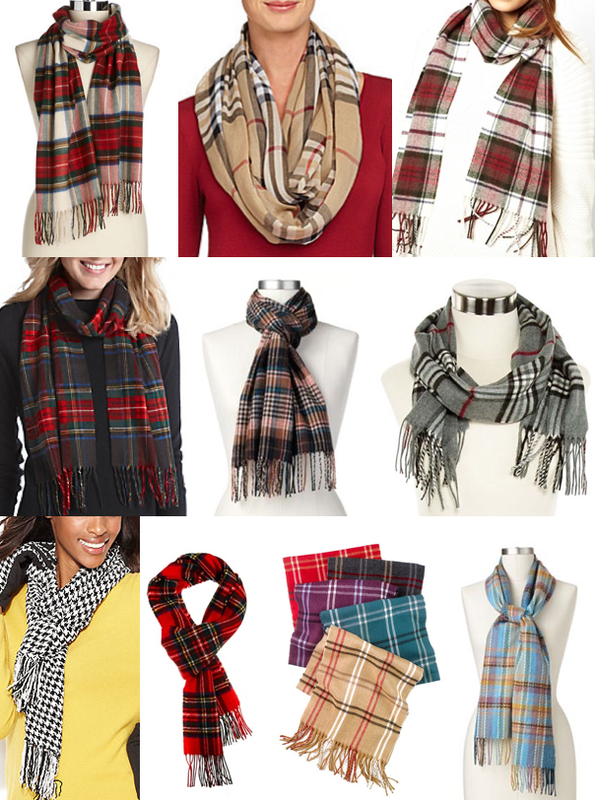 All this scarf wearing reminded me that I really want a plaid scarf this winter, so I did some shopping below (my favorite is #1). Which version of today's outfit do you prefer? What kind of scarf is your favorite - plaid, leopard, cable knit, infinity, etc. ?